Thank you for helping BVES fight hunger this holiday season by joining us for the 3rd Annual Utilities Food Drive Challenge. 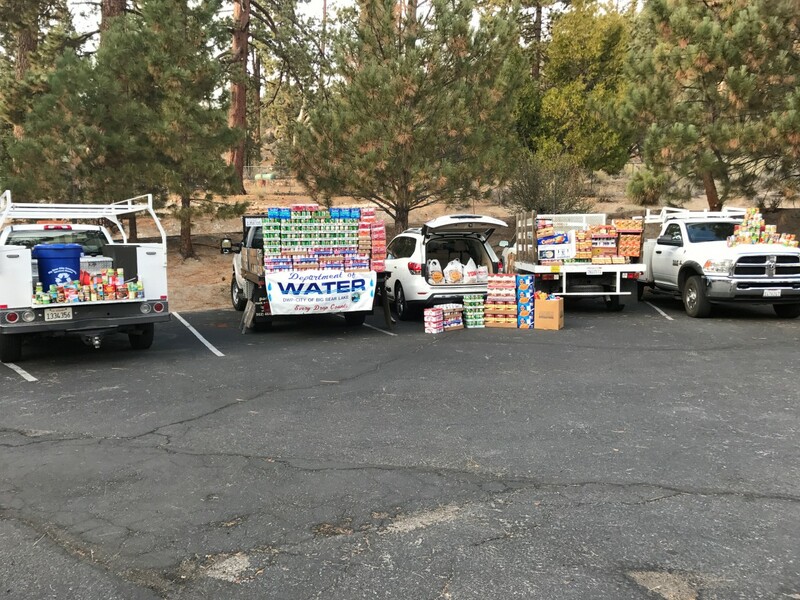 BVES along with Big Bear Lake Department of Water and Power, Big Bear Community Services District, Big Bear Area Regional Wastewater Agency, Big Bear Municipal Water District and Big Bear Disposal gathered donations of non-perishable items to fill the shelves of our local food bank. Collection boxes were located in BVES' lobby and customers received a free recyclable tote for every 5 cans they donated. A Ping Pong Chili Challenge was hosted by the utilities on November 17th, from 5:00 PM - 9:00 PM, at St. Joseph's Church where community members and employees participated in a night full of food and fun. The public was encouraged to attend and the admission cost was 5 cans of food. The utilities beat their 2016 record and collected roughly 4,700 food items for Big Bear families in need. We appreciate your support!